We are so pleased to announce the winner of our fourth contest! 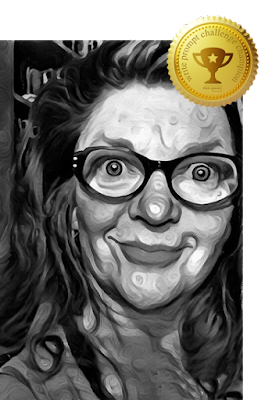 Congratulations to Jenny Parsons from West Grey, Ontario on her winning story, 'Pleats'. 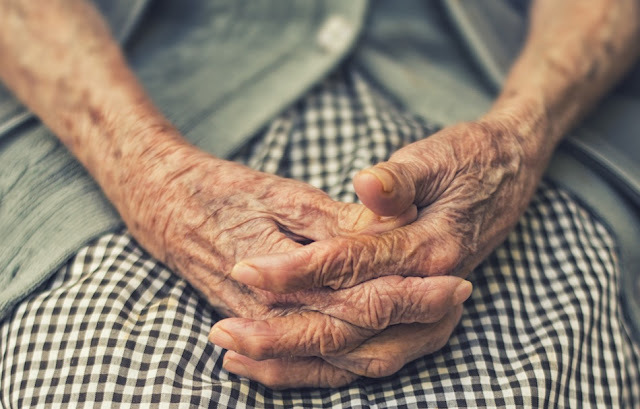 Using the provided image of an elderly woman's hands, Jenny gave us a little snapshot through the eyes of someone who remembers a simpler life. As a reward, Pleats will be published in our September ANNIVERSARY Issue. "An inspired twist on an image that could easily be considered cliché." Well, I’ll tell you what’s right about a pleated skirt: precision. None of the slop of an elastic-topped polyester pant is in a pleat. There is no confusion, just good clear direction and that is what the world could use right now, more pleats. Flossy is sitting with eight other women who are standing. They represent the first group of Hadrum Girls Bugle Corps from 1949. Back in their day they wore cowboy boots, fringed cuffs, and short pleated skirts. They are the stars of the 2017 reunion. To catch the rest of this story, order your copy of the September ANNIVERSARY Issue. Jenny Parsons won two Dora performance arts awards while writing and performing with the comedy institution, The Second City. In 2013, she was voted Pacific Mall’s “People’s Choice Best Magician” and, that same year, was a Canadian Comedy Award nominee for the play “Bunni Lady Magician”. In 2016, she scored “Manager’s Choice for Best Magician” at the Oriental Centre contest in Toronto. As a painter, for instance, she has won first, second and third prizes at Walkerton’s Juried Art show over the last three years. This is her first writing award and perhaps, the beginning of a whole new chapter.